A Japanese city has been left fighting off wannabe ninjas after a news report on local labor shortages that suggested it wanted to hire the traditional assassins went viral. 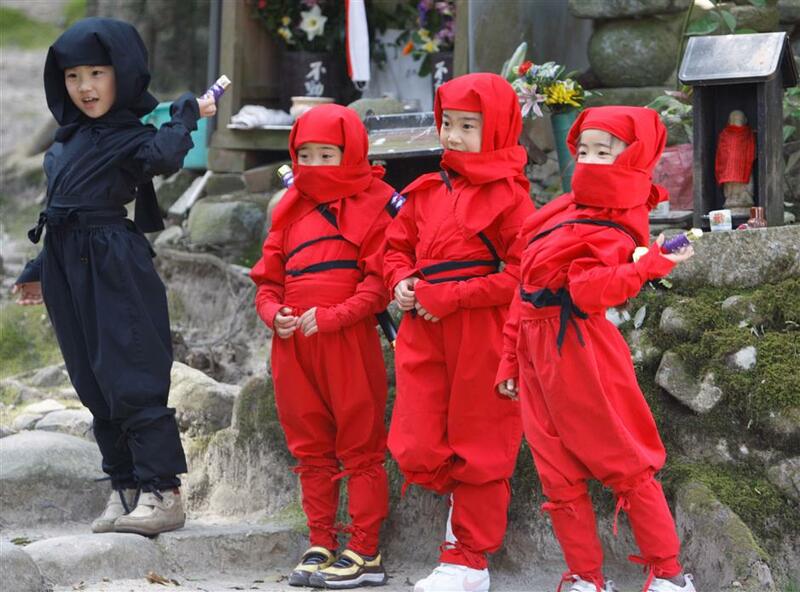 Children dressed as ninjas pose for a souvenir picture during a ninja festival in Iga, about 450 km (280 miles) from Tokyo, April 6, 2008. The western city of Iga was featured in a report by American radio station NPR this month about Japan’s depopulation and labor shortage problems. The report said Iga was trying to capitalize on its history as home to ninjas by building a new museum focused on the warriors, but was struggling to hire staff, including ninja performers. In its reporting, NPR said ninja performers in Japan can earn anywhere between US$23-85,000 a year. By Wednesday, at least 115 aspiring assassins had contacted the city and its local tourism association, puzzled Iga officials said, adding would-be warriors from at least 14 countries had been in touch. “Iga didn’t put out information about ‘a lack of ninjas in Iga’ or the ‘annual income of ninjas,’ that is currently reported by some news sites on the Internet,” the city said on its website. “We are just puzzled,” said Motoyoshi Shimai, a city official.